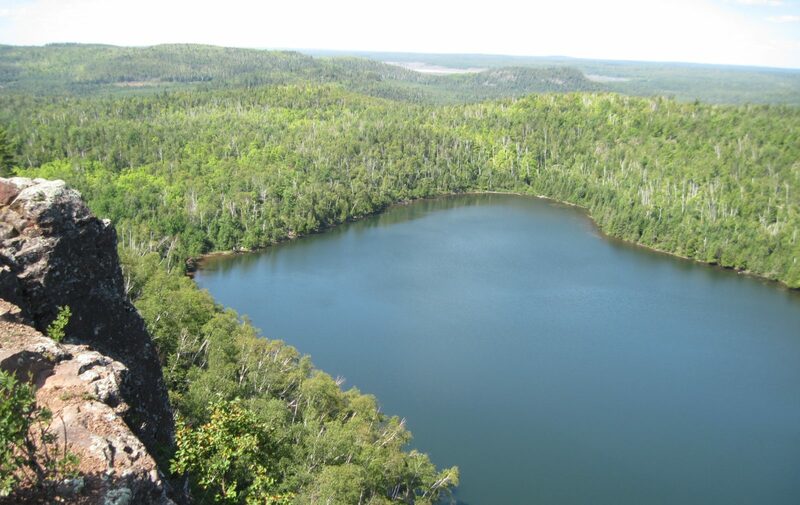 The view from a cliff on the Superior Hiking Trail overlooking Bean Lake. Turn right and you'd be overlooking Bear Lake. A great cliff to see how vast the Superior National Forest actually is, and what you see from this cliff is just a tiny fraction of the forest.